In this tribute to dreamers, Kevin Costner stars as an Iowa farmer who constructs a baseball diamond in his fields after hearing the inspirational message, "If you build it, he will come." 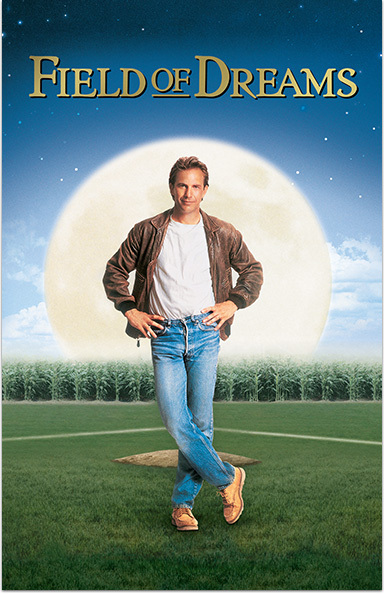 FIELD OF DREAMS © 1989 Universal City Studios. All Rights Reserved.